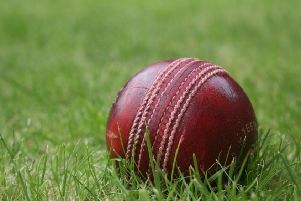 Egerton Park returned to form with a convincing County League win at Countesthorpe on Saturday to move up to second in Division Two. Another excellent bowling performance began with Nick Watchorn bowling great lines and picking up regular wickets to finish with three victims from his 12-over spell. Rakesh Seecharan then came into the attack and once again picked up four wickets, while going for just 24 runs. Henry Newton also bowled a very good spell to claim two vital wickets as the home side were bowled out for just 114 in 42 overs. Park then made light work of their run chase with Richard Bailey (57 not out) continuing his brilliant start to the season. He was well supported by Alex Barber who looked comfortable in his new role as opening batsman. When Barber fell, bowled by Matt Toon for 17, Tom Glover took over and with Bailey eased the visitors to their target in only 27 overs for their third win in five. Egerton Park will look to continue their top start to the season when Leicester Ivanhoe visit on Saturday for a 1pm start. Bowling: N. Watchorn 12-8-21-3; T. Glover 8.5-1-27-1; R. Seecharan 12-3-24-4; H. Newton 9-2-33-2. Park: R. Bailey 57*, A. Barber 17, T. Glover 22*, Extras 19. Total: 115-1.